DELPHOS — On April 6, officers were advised of an active warrant out of Allen County for 28-year-old Tiffany Bowers of Delphos. Bowers was located a short time later and taken into custody. She was transported to the Delphos Police Department where she was later turned over to a deputy from the Allen County Sheriff’s Office. On Sunday, officers responded to the 200 block of West Second Street for a domestic violence incident. Officers arrived and met with the female complainant. The female told officers that her ex-husband came to her residence and an argument ensued. The female told officers that the male struck her one time in the stomach and left. The female stated she would not pursue charges, but wanted a report to document the incident. On Monday, an officer on patrol conducted a traffic stop on a vehicle after observing the driver commit a traffic violation. Officers made contact with the driver and identified her as 29-year-old Trista Chess of Delphos. During the investigation of the traffic stop, officers found probable cause to arrest Chess for driving the vehicle while impaired. Chess will appear in Lima Municipal Court to face the charges of OVI and a stop sign violation. On Monday, officers responded to a business in the 100 block of West Third Street for a menacing complaint. Officers arrived and spoke with the business owners. They advised officers that they contacted a customer and advised him that they could not provide services for him any longer. This upset the customer and he began making threats of bodily harm. Officers contacted the suspect, who lives in Dublin, and he stated that he was angry but had not made any threats. The business owner stated that they did not wish to pursue charges, but did not want the male to return to their business. On Monday, officers responded to Jefferson Middle School in reference to a student possessing an illegal substance. Officers met with the student and school officials and were given the illegal substance. The student was suspended and is facing charges in Juvenile Court for possessing a controlled substance. On Monday, officers met with a male who stated that he was being threatened by another male. Officers spoke with the second male and he claimed that he was actually the one being threatened and harassed. He pointed out that the complainant was the one that had to come to his residence trying to start a fight. Officers advised both parties to cease contact with each other. On Tuesday, officers responded to the 500 block of Seventh Street to investigate an incident. Upon arrival, officers met with a female who stated that a male touched her inappropriately. Officers interviewed the female and the suspect who adamantly denied all allegations. A report was forwarded to the Van Wert Prosecutor’s Office for review of charges. 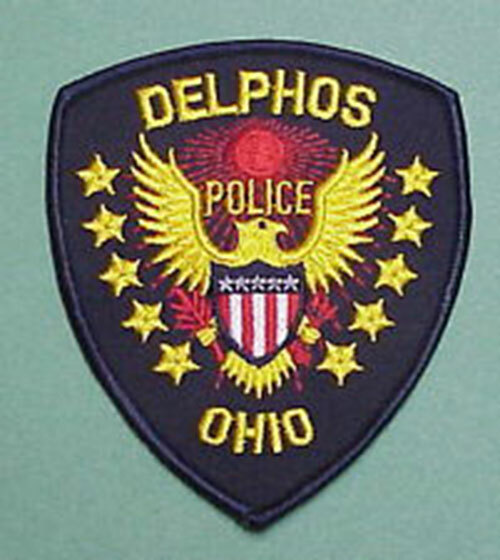 On Tuesday, detectives from the Delphos Police Department were contacted by Children’s Services in reference to an infant who was currently at the hospital being treated for suspicious injuries. Detectives are conducting an on-going investigation into the incident and therefore no further information will be released.